Celista Home, Walk to BEACH! Enjoy this 4 Bedrm, 2 Bathrm Family home year round or recreationally. Brand New 50 Year Roof! 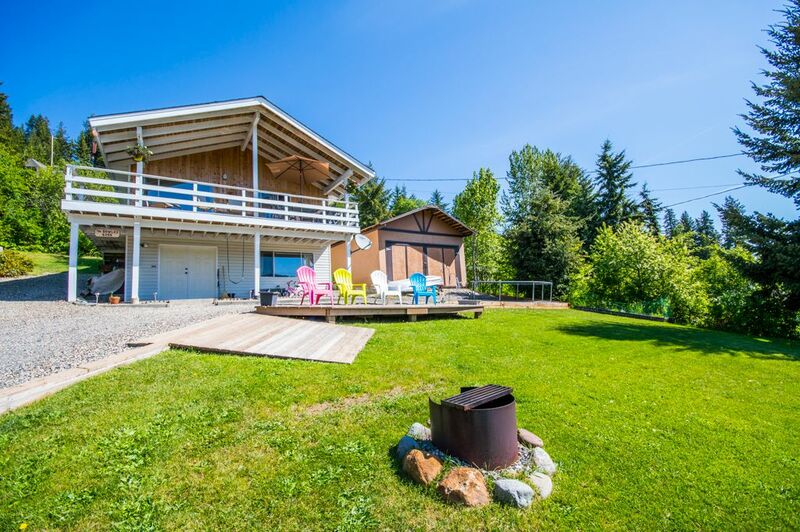 Just 1 block from the Shuswap Lake & close to the Crowfoot Mtn range this location offers it all! Includes Beach Membership with Boat Buoy, Concrete Boat Launch & 1600 Ft of Beachfrontage! $100/yr gives you all the waterfront pleasure that you can endure also offers picnic tables, volleyball sand courts, horseshoe pits & washrms. Snowmobiling is world class with Grizzly and Crowfoot Mtn ranges just minutes away! Home shows very well & is well maintained by year round resident, Detached Double Garage to securely store your toys, Boat coverall. Appliances, Bsmt Wood Stove, Large Rms with 2 Bedrm up & 2 Bedrm dn. Stylish pine cabinetry, Open family room with walk-out basement. Stunning Lakeview Deck! Great community water service, Maintained septic, Large 1/3 Acre Lot. Chasey Rd is just one road behind the Lakefront Road making the beach a leisurely stroll in just a couple minutes & it's a quiet dead end road offering great privacy! Walk to Elem School & playground fields just 1/2 Block. Great Summer/Winter weekly rental market here too! You're not going to find a better, more affordable recreational option to enjoy all the Shuswap has to offer!